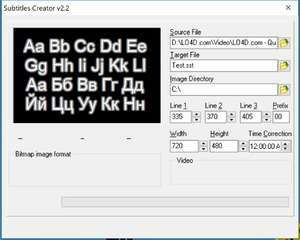 Subtitles Creator is an application that creates a list of image subtitles in SRT and BMP format. Subtitle creation is fast with this tool. For security reasons, you should also check out the Subtitles Creator download at LO4D.com which includes virus and malware tests. Additional screenshots of this application download may be available, too.